Name Our New Spreadable Dip Contest! 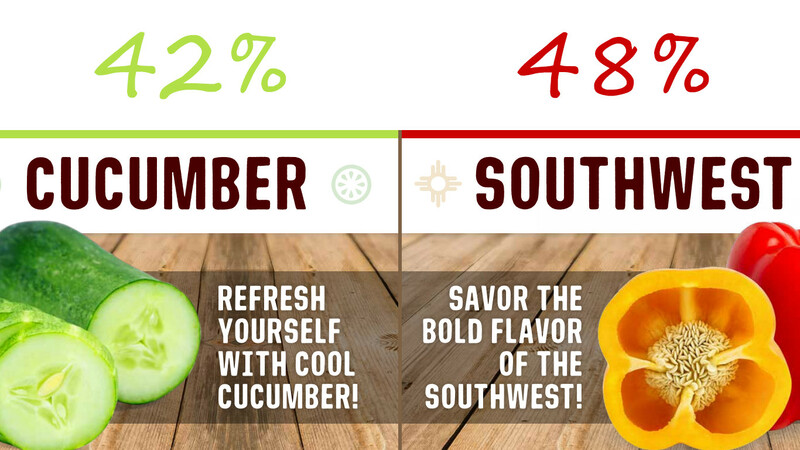 “Liked both – washed them down with some Arps ice cream :)” – Amy S.
“Both were great!” – Melinda C.
“The cucumber for the summer and southwest for the winter!” – Corrie V.
We are asking the community to help name each new product! Comment to this article on our Facebook page with your product name suggestions. We will pick our top three and let the community decide from there which name these new products will be given. The person with the winning name entry will receive $50.00 in Arps Dairy gift cards, redeemable at our Defiance, Ohio creamery. To be eligible to win, you must comment your entry then like and share the post. We want to thank everyone for their votes in helping make this decision, and we look forward to the product naming contest. We can’t wait to hear your ideas!